Featuring a double outer layer manufactured from high abrasion resistant ballistic nylon cloth, all float seams are double stitched from heavy denier yarn using a locking stitch, so yarn breakages cannot lead to an unzipping effect. The floats utilise high quality 48 kg/m3 100% closed cell polyethylene foam, and high quality eyelets exceeding Shell pull test standards. Additionally these floats can be polyurethane elastomer coated on the outside. In cases where long service life with minimal maintenance is required, we recommend the use of our Tubular Floats. These are stiffer than the fibre rope, so flexing may occur at the exit points from the floats. The longer the float length, the greater the flexural concentration. Therefore we do recommend a larger quantity of short length floats, as opposed to a smaller quantity of longer length floats. Integral flotation should be considered where there is a risk of floats, on mooring hawsers with conventional lace-on floats, being persistently damaged or ripped away from the rope. In this case the costly replacement of floats, and on-going maintenance, can significantly increase the hawser’s cost-of-ownership. Our Integral Flotation system overcomes these issues, and in addition offers many other operational benefits. Mooring hawsers incorporating the Integral Flotation system are wrapped in closed cell buoyancy foam, ensuring sufficient reserve buoyancy is calculated into the construction to support the hawser in seawater. This is covered with an over braided jacket. Additionally this can be polyurethane elastomer coated to enhance abrasion characteristics of the assembly. No need to replace / maintain the floatation system during the hawser lifetime, eliminating the need for spare floats and expensive maintenance crews. 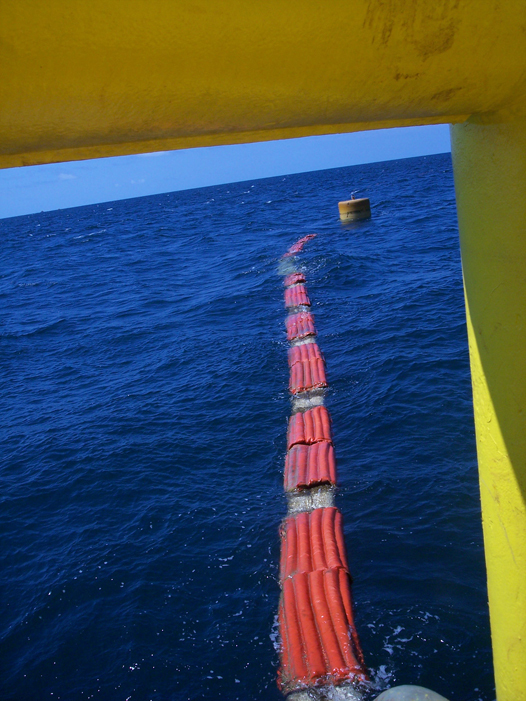 For CALM buoys where the hawsers maybe left floating in the water between offtakes, the Integral Flotation system reduces the amount the rope will flex with the wave action. 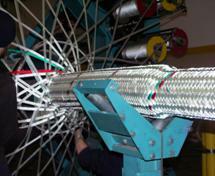 This reduces internal yarn-on-yarn abrasion damage and can help to increase retirement programmes. For more information download the Integral Hawser Flotation PDF.